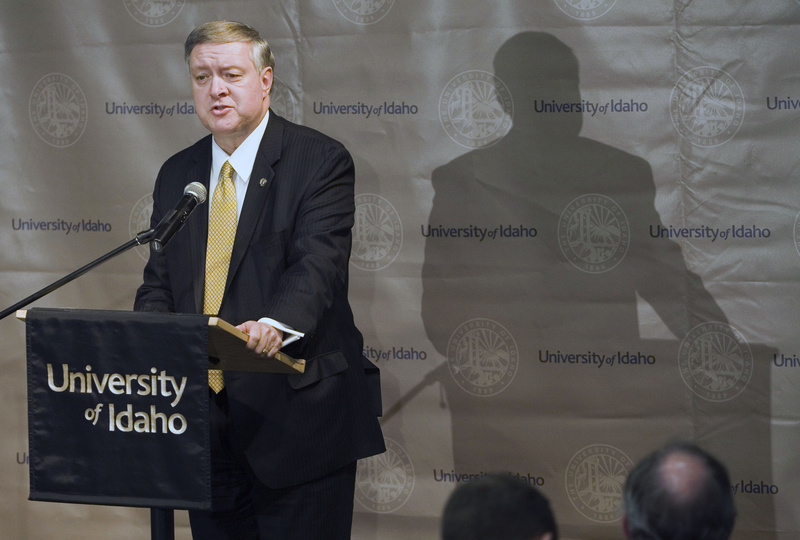 BOISE – As University of Idaho President Duane Nellis leaves this summer to become president of Texas Tech University, his parting advice to the state is to invest in its workers by raising their pay. That’s something Idaho Gov. Butch Otter declared a priority early in his first term, noting the gap between state worker pay and market rates. But since the economic downturn hit, Idaho hasn’t funded state employee raises in four of the past five years. In fiscal year 2010, when the zero raises started, Idaho’s state worker pay was 15 percent below market rates, according to a state-commissioned annual study. This year, it’s 18.9 percent below market. The only raise lawmakers have funded for state workers in the last five years was a 2 percent across-the-board boost for all workers performing to standards, approved in the 2012 legislative session for the current fiscal year. This year, lawmakers again allocated no funding for raises for the coming year. But Otter says he’s addressing state employee pay another way this year: With approval from the Legislature, agencies have been directed to use any savings they can identify in their budgets for either one-time bonuses, if the savings are one-time, or for ongoing raises, if they’re efficiencies that will continue. Otter said he has “OK’d quite a few” such increases. Under plans approved by the governor’s Division of Financial Management, $5 million in raises and $4 million in one-time bonuses are going out either this year or in the coming fiscal year, which starts July 1; a few agencies still are working on their plans. But workers in agencies that don’t have savings are out of luck. The two agencies that identified the biggest savings and were able to give raises to most of their workers were the state departments of Agriculture and Correction. Nearly every Agriculture Department employee got a merit-based boost to bring pay closer to market rates. At the Department of Correction, the lowest-paid workers all saw their pay move up, including 66 percent of the department’s employees. Typical sources for savings included staff vacancies that lasted longer than expected, generating one-time savings, or higher-paid workers who left and were replaced by lower-paid workers, generating ongoing savings.